Yesterday the volunteers did a grand job cutting back the BV Path ramps where it approaches either side of the aqueduct over the A331. 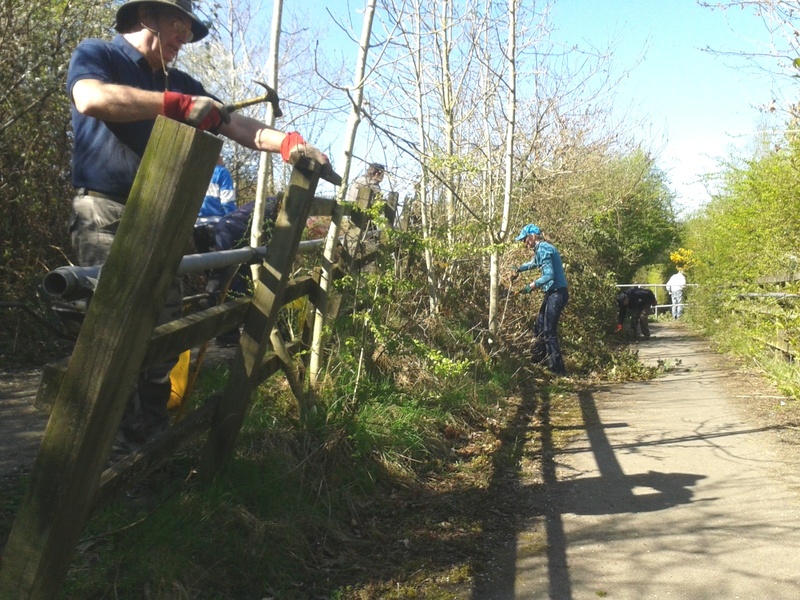 Tony Elston led a team who removed a section of redundant fencing, then recycled the rails to replace 16 broken sections. As a future project Sarah will be designing some new improved signage to make it clearer where the BV Path intersects the Basingstoke Canal towpath. It was a lovely day in the sunshine with lots of appreciative comments from walkers and cyclists. This entry was posted in A331 & A31 Green Corridor, Access, BV path, Conservation, Lakeside Park, Sites, Volunteers and tagged BV path, Tuesday Volunteers, Volunteers. Bookmark the permalink.